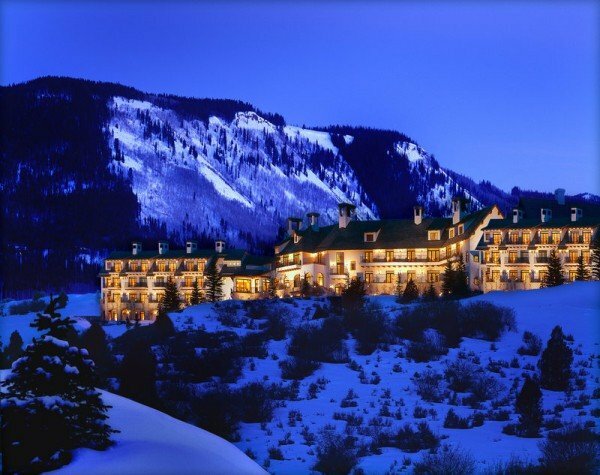 Set atop a mountain overlooking the Vail Valley, the rustic-chic Lodge and Spa at Cordillera offers everything you might want in a resort that’s warm and welcoming in every season. Ideally situated for outdoor adventure, it’s close to the winter action for world-class skiing at Vail and Beaver Creek in Colorado. Hop aboard the resort’s complimentary shuttle to either ski area where guests enjoy the luxurious private mountain clubs at each base. You’ll also benefit from the ski equipment discounts offered to guests at local stores. Both mountain areas are known for their abundant snow, deep powder bowls, and the immaculately-maintained groomers, but skiing isn’t the only winter activity right outside the door. Take a whirl on the resort ice rink and stay warm with a complimentary hot beverage, explore the area on a snowmobile tour or bundled up in a traditional sleigh, try cross-country skiing or snowshoeing, and discover the fun of dog sledding. Mountain charm and loads of amenities make the stay comfortable and relaxing whether you choose one of the resort’s 56 guestrooms – prices start around $183 per night – or the more private guest homes for an action packed getaway with a group of family and friends. Enjoy the warmth and ambiance of your fireplace, sip morning coffee on a secluded deck, and have access to the fitness center, pools and hot tubs. Two exceptional restaurants and in-room dining are part of the resort. Mirador pairs regional specialties like Colorado striped bass and tender local lamb with an excellent wine list. The restaurant also has a popular happy hour daily with drinks, nibbles, and a friendly meet-and-greet vibe. On Friday and Saturday nights you can end the day with s’more service around the communal fire pit. Grouse on the Green is the resort’s authentic Irish pub, offering a selection of draft beers and cross-continental cuisine including traditional favorites like fish and chips and bangers and mash. Relax in the Spa with a massage, facial, detoxifying body wrap or other treatment, or unwind with a cocktail and some quiet time just taking in the spectacular valley view. You can stay connected with complimentary Wi-Fi, and even bring your cat or dog along by asking in advance for one of the lodge’s pet-friendly rooms. The Lodge and Spa at Cordillera is 145 miles from Denver International Airport and a short 24 miles from the Eagle County Regional Airport. You might time your trip to get in on fun upcoming events. CarniVale is a Mardi Gras-style celebration held February 6-9. The Burton U.S. Open Snowboarding Championships February 29-March 5 will feature the world’s best snowboarders gathering to compete while fans get an up-close look at the action and a great free concert lineup. For more details, check out the Preferred Hotels link here.